We are concerned with YOUR vision...not ours. We listen to our clients and spend a great deal of time getting to know them and their lifestyle. 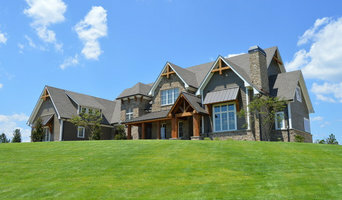 Many of our clients set out to create the custom home they will spend the rest of their lives in. Others are looking to design a home that will be unique to them, but easy on their wallets. We are able to meet whatever needs you may have in home design. Cabinetry that offers you the freedom to dream and create an affordable style that is as individual as you! The Wellborn family is committed to be the most valued provider of permanent home cabinets designed for a lifetime of gracious living. I've been a professional photographer for over 20 years. I specialize in architectural photography. Whether it's for real estate, marketing, advertising, or portfolio, architecture is what I do. Photographing homes and buildings requires a highly specialized skill and equipment set, not every photographer can do it. Since I don't do weddings or portraits, I'm able to hone my skills to make your home, project, business, or building look it's absolute best. Case Design/Remodeling has been serving the greater Birmingham area for over a decade. We take the worry out of remodeling. Using our proven design/build process, our award-winning, highly-rated design and construction professionals guide you step-by-step, from an initial idea through budgeting, design and construction, to a beautifully finished result. Typical Project Investment Ranges: Full Kitchens and Baths from $35,000 to $150,000. Partial Kitchens and Baths from $15,000 to $40,000. Whole Home Renovations from $125,000 to $500,000. Basement and Attic Build Outs from $60,000 to $200,000. Additions, Studios and Garages $75,000 to $500,000. Facades, Decks and Porches from $30,000 to $150,000. Whether your project is an addition, kitchen remodel, bathroom renovation, or open floor plan conversion, the Case team listens to your needs and applies skill and expertise to create a project you’ll love. Not sure where to start? Attend one of Case’s informative remodeling seminars where you’ll learn more about remodeling and ask a pro your questions. Or, request your own one-on-one consultation to discuss your upcoming project in more detail. Both are complimentary. Costs will vary depending on the scope of your project. Contact us for a consultation about your project. I take great pride in the 5-star reviews I receive consistently from buyers and sellers, now friends. Why do I receive such high ratings? I believe it starts with the high degree of honor I feel when someone calls and asks me to help them buy or sell their home. I feel a great deal of responsibility to make sure that my clients achieve their desired goals of timeline and price while feeling in control and in touch with the entire experience. To achieve each unique goal and create a stress-free experience, I have implemented systems that I and my assistant, Jill, execute on a daily basis. At the heart of these systems are you and your wishes. A real estate transaction can be a slippery slope with a great deal of risk, but with my experience, my operating systems and one of the strongest Brokerages in the Southeast, RE/MAX Southern Homes, the outcomes are sure to be a success. Whether you are in the market to buy or sell a home now or you just want to entertain a what-if-thought, please consider me your real estate resource. If you need quarterly neighborhood sales updates, call me. If you need an automated new listing search from the Birmingham MLS, I am here. If you need staging advice to prepare your home for market, I can help. I am happy to serve the real estate needs of my community. Jeffrey Dungan discovered a love for art and drawing at a young age while growing up on a family farm in rural Alabama. The surrounding nature with its trees of elegance and verticality would become the inspiration for years of studying and creating beautiful architecture. Meet Jeff here, www.JeffreyDungan.com/video/ Jeffery Dungan Architects is a group of passionate people who take pride in the creative process of design. Our work takes a clean and modern approach to traditional vernaculars and classical architecture. The mission is simple: to affect the livelihood of our clients in a way that simply makes their lives better. We truly believe design has that kind of power. Whether building in Maine, Napa or Ireland, each of JDA’s projects begins and ends the with people we are fortunate enough to work with. In all of our creative endeavors we enjoy wonderful relationships that last well beyond the finished structure. *Authorized Wellborn Cabinetry Dealer* Jennifer Thompson is the owner of Creative Cabinets and Design in Birmingham, Alabama. She is a Certified Kitchen Designer and member of the National Kitchen and Bath Association, Professional Women in Building, and the Greater Birmingham Association of Home Builders. She has been designing kitchens and baths for 18 years. Creative Cabinets and Design sells Wellborn and Dura Supreme cabinets. They offer 20/20 design services and space planning for kitchens,baths, and many other areas of the home. 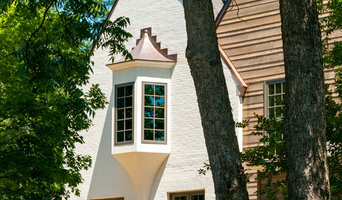 Lovette Design+Build provides quality remodeling services throughout the Birmingham, AL market. We recognize that every client, budget and project are unique and deserve the focused attention of all of our team members. Our business is built around long term relationships with clients who rely on our expertise for their home renovations, no matter the size of their project. John M. Holmes Architect has been a practicing registered architect since 1978. He is registered in Alabama, Arkansas and holds a certificate from the National Council of Architectural Registration Boards. He has extensive experience in residential design and renovation as well as commercial office and institutional projects of all types and sizes. His designs have been featured in numerous publications. We offer complete and comprehensive architectural services for new construction and renovations for residential projects and specialize in small scale commercial projects of all types. Creative residential and commercial architectural design firm specializing in residential renovation. Classic design with an emphasis on communication, simplicity, context, environmental impact, and energy efficiency. Elaine Roberts Drafters & Designers is a drafting and design firm with a combined 20 years of experience. We offer custom home design, landscape design, remodel and additions. We offer pricing that is affordable for everyone. No project is to small or too large.